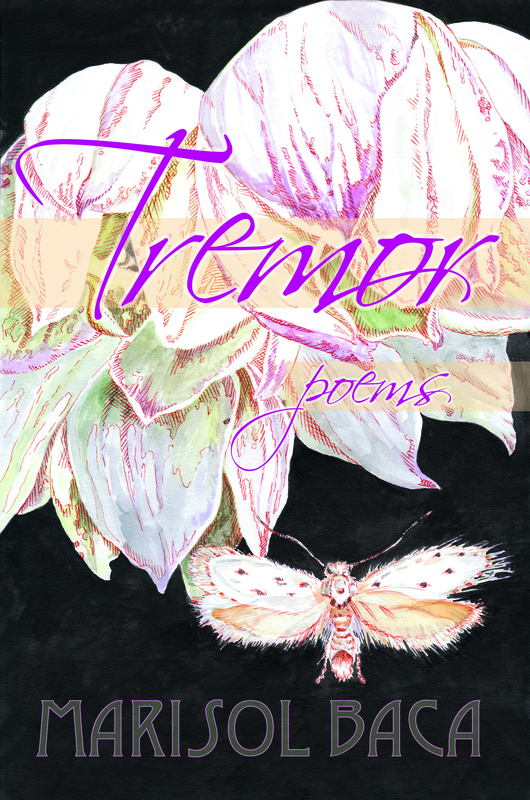 Marisol Baca’s debut collection Tremor is a journey through shimmering landscapes and innerscapes. Interlacing the past and the present through the lens of her Mexican-American heritage, Baca unspools profound connections – life and death, her grandmother’s legacy and earth’s graces – in poems that move the reader with quiet strength and beauty. Both narrative and lyrical, Baca’s poems are like small earthquakes that shake you subtly but undeniably; life is changed after reading her. “There is no fence, or rather, there is this fence: a cloud of / linen napkins to separate the earth from sky,” Marisol Baca writes, and these poems line up one square after another as a book into its own “white, cotton banner,” flagging the division between what is earth, and what is lonely sky. For the poet, what is earth is literal and enmeshed with the body: clay and straw stalks dome into the family horno, chiles welt hands, a pebble lodges the throat, and moving from their desert Southwest, the book’s speaker and her father must walk the ragged edges of land mounded by sailor jellyfish blown ashore. But what is sky is much more difficult, and the book traces from family stories portraits of grandparents and a father “obscured by fog” and “in a world of margins.” The father who fills his pockets with jellyfish in order to throw them back into the ocean in one poem is the same man who, in another poem is dying, his multiple sclerosis a “spasticity / of lies . . . communicating a crustaceous desire,” and grief functions as lasso in these poems, the poet attempting to close in from the air and smoky memory some incalculable cipher. Baca asks “[w]hat is the word for that squeak before a moan?” and these poems linger in clouds as much as alfalfa fields in such unanswered suspension. —Sasha Pimentel, author of For Want of Water: And Other Poems, 2017; and Insides She Swallowed, 2010. She wishes she had the ability to become larger. The monolith is pointing her toward herself. backward, turn away from yourself, eat the fragments. Swallow a river of arrows pointed at each other. Too big you can’t fit in your life. Swallow a banner fluttering, pointed at home. Small. She is fish eye, turtle egg. is reflected. She is four now, she is an infinite tiny self.